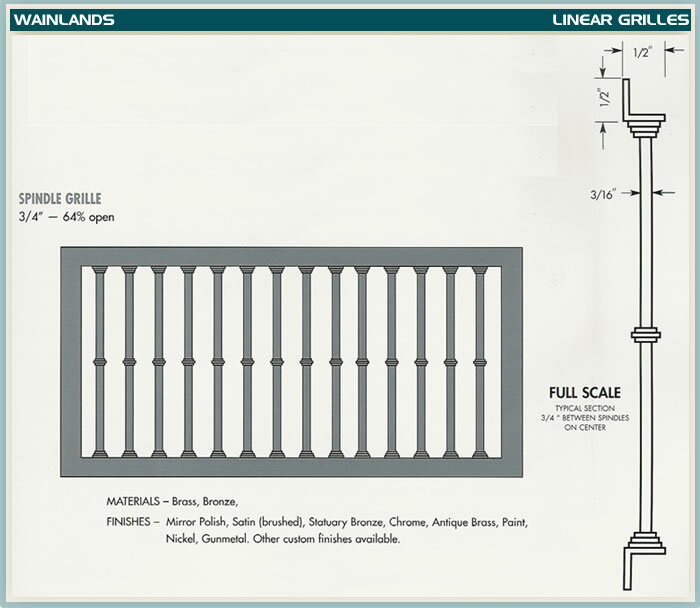 Constructed with angled linear bars attached to a frame. 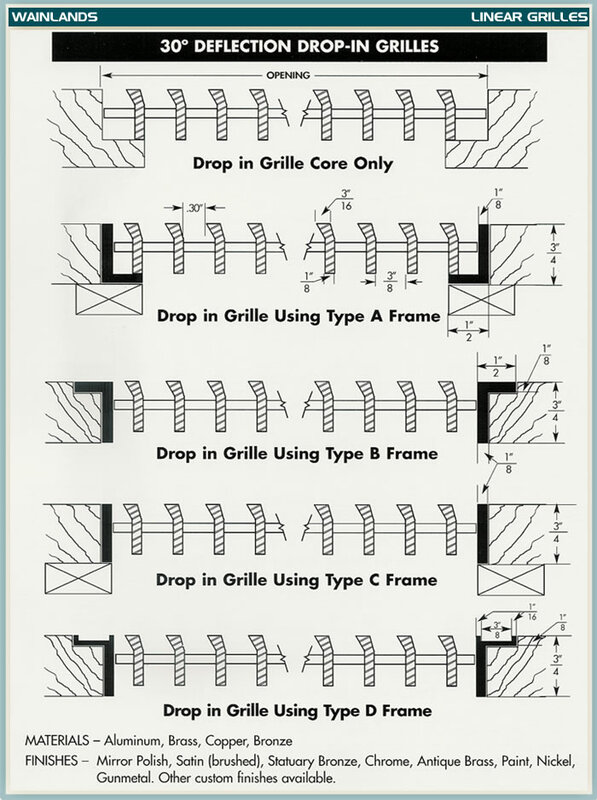 0, 15 and 30 degree deflection angles are available to direct the air in a desired direction. 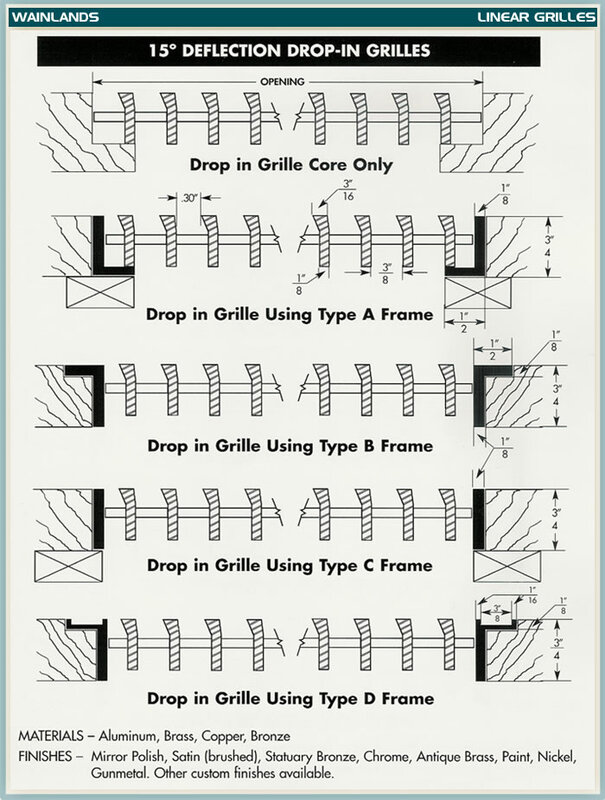 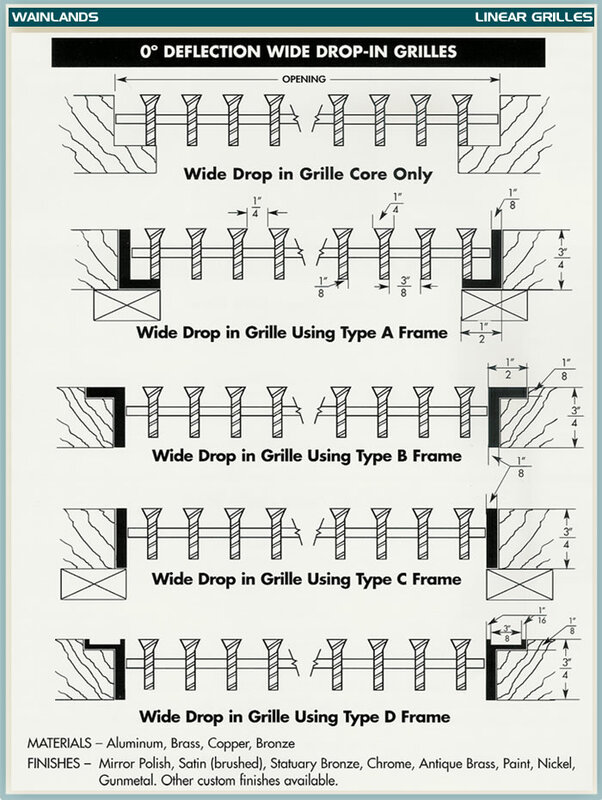 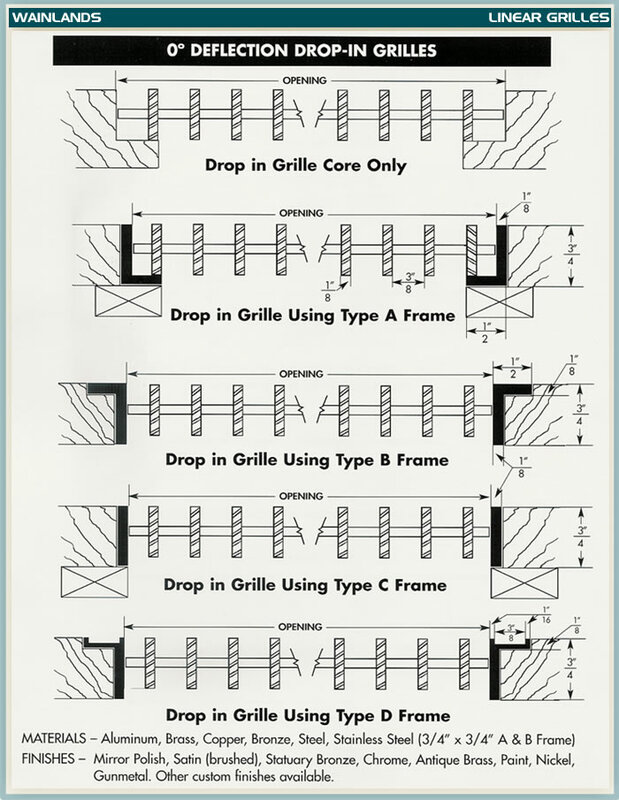 Grilles on cabinets usually use a 15 degree angle, and return air grilles usually use zero degrees. 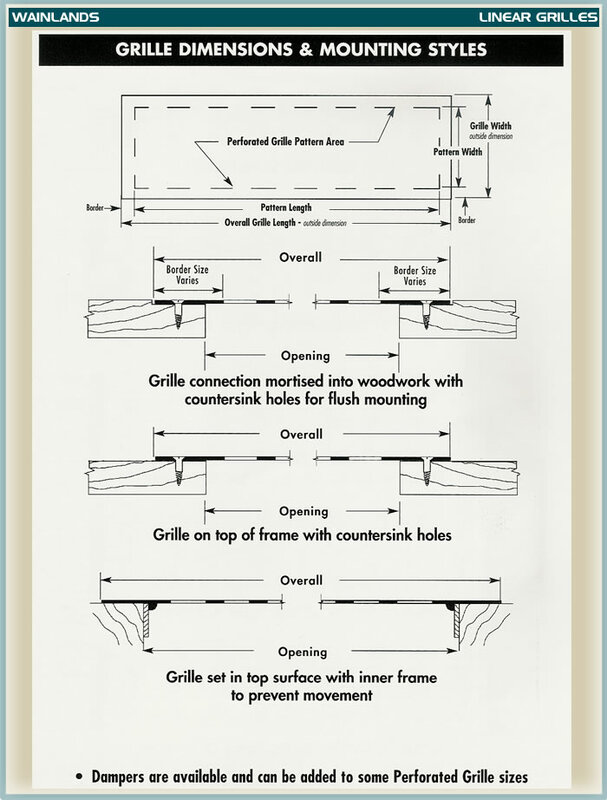 Mounting style, thickness, and deflections are illustrated on pages 16-19 ( pdf catalog ).